Considered the cornerstone of live albums from the NWOBHM era upon its release in 1982, this expanded re-release buttresses the original recording with six extra bonus tracks. From the roar of the chanting Saxon crowd and the revving intro to Motorcycle Man, this essential live document from Saxon’s classic Denim and Leather tour burns high octane musical rubber throughout. The added bonus tracks include Frozen Rainbow and Dallas 1 pm, from their Hammersmith Odeon show, to thrill and excite the dedicated fans of a band that still remain right on top of their game. 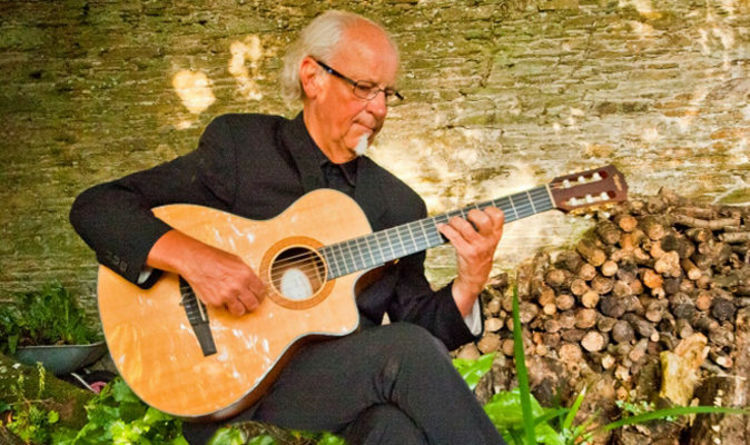 The guitarist for Jethro Tull, Barre has forged a solo path that has taken in a scenic musical route whilst rolling hard some heavy rocks on the road. His breadth of musical styles and superior musicianship elevates the sonic etchings on this his finest collected solo work, so far. Opener Lone Wolf, with its alternating guitar and mandolin riffs, reminds of a top-drawer Tull song and how important Barre was to their musical style. As does the crisp guitar motifs that develop all over On My Way. Underpinned by the sassy bass of former John Martyn four string maestro Alan Thomson, the eleven tracks herein have a confident swagger about them. The folk, blues and rock elements blowing through this accomplished album are exemplified by the sparky My Driving Song. Barre has found his own Rock Island by unearthing these musical treasures. Celebrating their 50th anniversary with a new album and new vocalist, Nazareth propels themselves ever onwards with a stormer of an album. Helmed by original bassist Pete Agnew, belting opener Never Dance With The Devil riffs insanely along to reveal a modern metal masterpiece. New boy Carl Sentence’s powerful, melodic upper range vocals give a new identity to this legendary Scottish band as he rocks hard on Pole To Pole’s heavy strut. Balance is provided by the bluesy Push and country-tinged ballad Rubik’s Romance. Bottle the power of Grace Slick with the whisky doused warmth of Janis Joplin and the vintage vocal result is Sari Schorr who pours out her heart and soul on this classy release. Backed by Ash Wilson’s deft blues guitar and former King King keyboard wizard Bob Fridzema, distilled here are eleven beautifully played tracks by an experienced band and singer flying out of the traps. Schorr’s singing soars on the tight, pumped up and riff-heavy bounce of Valentina. The New Revolution slinks out of the speakers with itchy guitar and Hammond organ mixing up a heady cocktail of rhythm and blues. Packed with rock radio favourites like Maybe I’m Fooling, King of Rock and Roll and Freedom this album parties from top to tail. Singers and players don’t often combine to create a consistent and extraordinary album of well-judged songs and performances such as this. Never Say Never indeed. Man City team news: Predicted line up vs Shakhtar – will Kevin De Bruyne play?